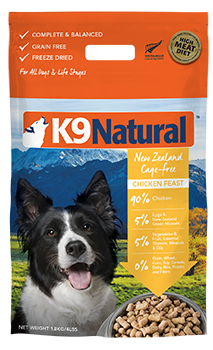 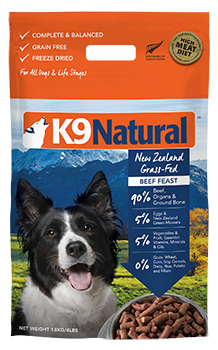 K9 Natural Freeze Dried Green Tripe is a raw and natural probiotic, rich in nutrients and enzymes which are essential to your dogs intestinal health, and therefore makes a perfect accompainment to K9 Natural raw diet. 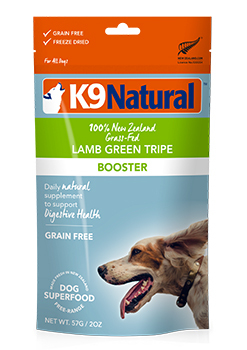 RAW GREEN TRIPE contains amonio acids which work with your dogs gastric system to aid digestion, strenghten muscles, can assist in keeping teeth clean and may help alleviate symptoms associated with irritable bowel. 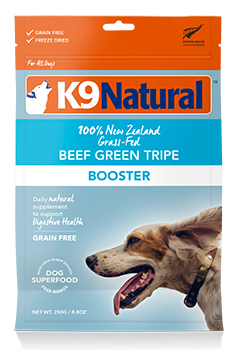 By aiding digesting, K9 Natural freeze dried raw GREEN TRIPE is also the perfect way to ease dogs with sensitive digestion issues or food allergies or to a species appropriate raw diet. 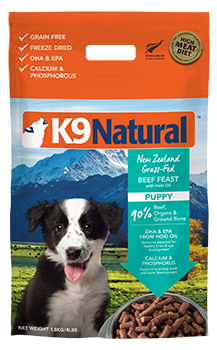 Feeding freeze dried green trips for approximately one week before you start to feed a K9 Natural diet can help make a smooth transisiton by replenishing the guts natural digestive bacteria or flora. 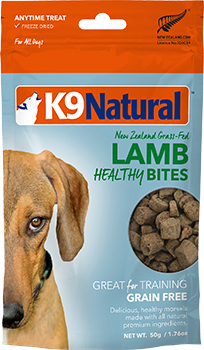 This enables the dogs gut to settle and therefore aids digestion. 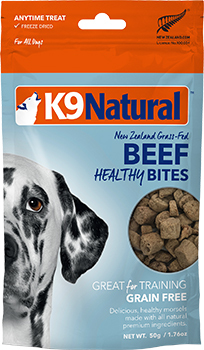 We do not recommend mixing our tripe or any raw diets with kibble. 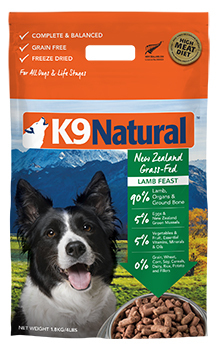 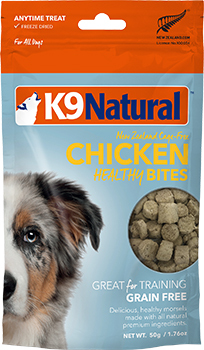 Further information can be found on the transistion on our website www.k9natural.com. 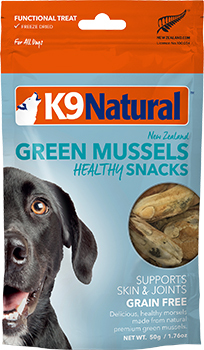 We do recommend that diet modifications for dogs with digestive problems should be made in conjunction with your canine health care provide.